A famous Iranian TV host fainted during a live show because of what was declared to be a chest pain caused by a nervous attack. 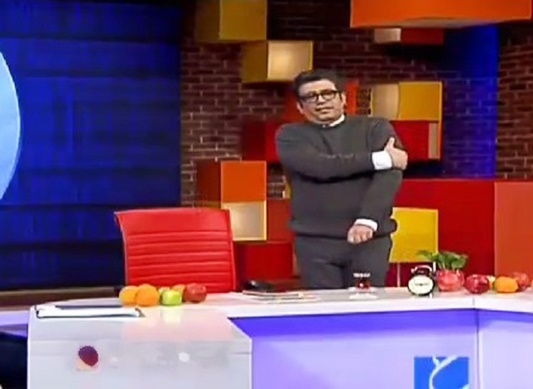 Reza Rashidpoor, a famous Iranian show host, passed out after showing the symptoms of heart pain in a popular TV program this morning, January 25. “A nervous attack caused the chest pain,” Rashidpour told state TV in a telephone interview from ICU. A few days ago, Massoud Khansari, the head of Tehran Chamber of Commerce, had also fainted on the podium. He was addressing a formal ceremony to award the prestigious national medal “Amin al-Zarb” to top entrepreneurs.